Commission a portrait to keep forever. I use top quality artists materials to create work that will remain in your family for years to come. All commissions are unframed so you are able to choose the frame that suits you. Drawings are done on artist quality Strathmore papers and professionally mounted. 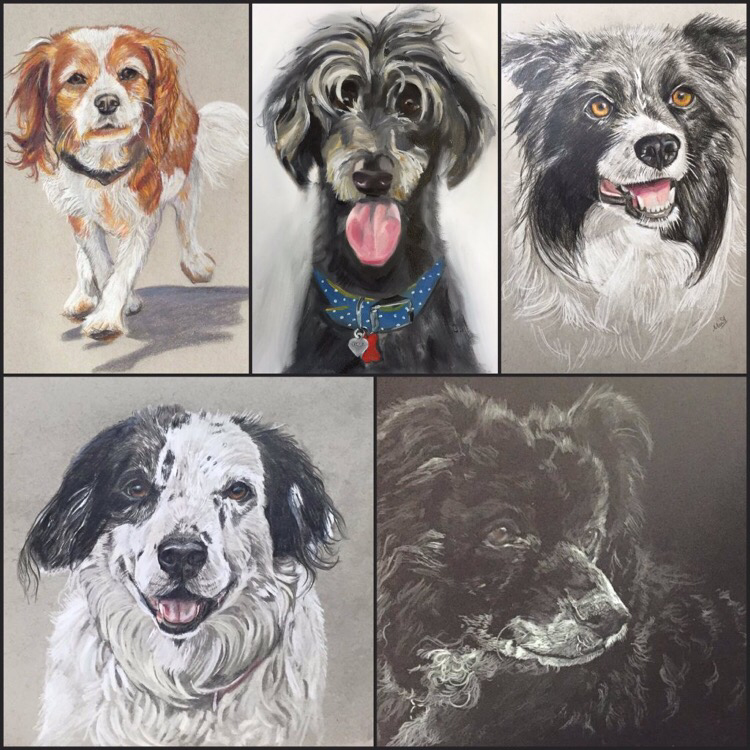 I use grey, artagain black or Bristol board and will advise you on the best surface for the drawing according to the individual pet. I use high quality Faber Castell polychromos, Prismacolor,Derwent coloursoft and Caran d'Ache luminance pencils because of their professional capabilities and colourfastness. I paint in oils on artists quality Arches oil painting paper. I use a variety of oil paints, including Michael Harding , Pip Seymour and Schmicke oils. Prices for a painting are from £125 depending upon size. Before I begin a commission a deposit of £30 is required. This deposit is for initial sketches, research and basic materials and is non refundable. Once you have approved the work ,full payment is due before delivery or on collection. Payments can be made via paypal or by cash or card on collection. Expect to wait for 4 weeks for a drawing and up to 12 weeks for a painting (oil paintings take a long time to dry). Please ask me if you require a portrait sooner, I will endeavour to make it happen. Postage and packaging is not included in the price. What I will need from you. Good quality photos are a must, I can work with blurred images if it is impossible to get other references, however this will reflect in the work. Ideally the pets eyes should both be visible ( unless they only have one!). Try taking photographs at eye level to prevent distortion. Taking photos in natural light with the sun behind you and no flash can stop 'red eye'. Then send the images to me, I prefer it if you can private message them to me on Facebook or you can email Jpegs. Send up to ten images and we can pick the best ones.